Fine Gael TD Phil Hogan has said he expects there to be a deal in the talks on the formation of a new Coalition Government. Speaking as he left the talks at Government Buildings tonight, Mr Hogan said that three or four policy issues on the shape of the government are being discussed by the party leaders. 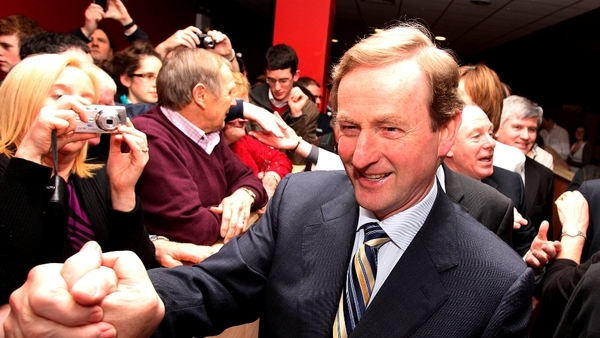 Enda Kenny and Eamon Gilmore arrived at Government Buildings this evening. Mr Kenny said he was going in to see how the negotiation teams got on and see what issues are left over for the leaders. Earlier, Labour TD Pat Rabbitte said that talks are ongoing but that most matters have been decided. Mr Rabbitte said there are some things that needed to be finessed and that talks will likely go on until late this evening. Fine Gael's Phil Hogan said the parties had a draft of a proposed programme for Government. 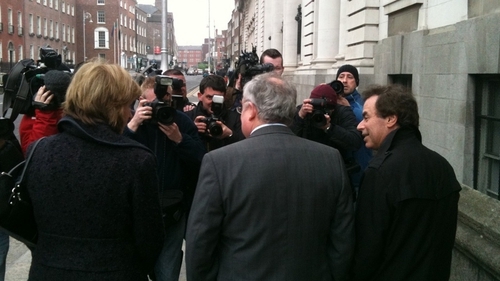 Mr Hogan said he expected the matter to be concluded this evening in time for Labour's special conference tomorrow and Fine Gael's parliamentary party meeting. The question of the composition of the Cabinet will be left to the party leaders, but it may not be known who is in and who is out until just before the Dáil meets on Wednesday. The atmosphere throughout the talks has been cordial even if the messages have been nuanced. Fine Gael has consistently emphasised the progress being made, with Labour stressing the big issues that remain to be resolved. 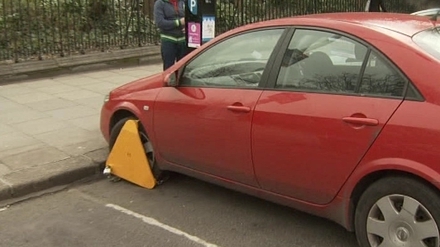 While taking part in the negotiations this morning, Mr Rabbitte had his car clamped outside Government Buildings. Meanwhile, Labour Party MEP Proinsias De Rossa has said his party should be prepared to go into Opposition. In a statement, Mr De Rossa said that Labour should defend the interests of its core constituency - low and middle-income earners - by having key elements of its social democratic policies implemented. He said that if Fine Gael did not accept these requirements, Labour should not enter a Coalition. Elsewhere, Mr Kenny has said that as Taoiseach he would invite the President of the European Council Herman Van Rompuy to Ireland . Mr Kenny wants Mr Van Rompuy to see for himself the effects of the austerity measures. He was speaking after a European People's Party summit in Helsinki yesterday. Mr Kenny said Ireland could only 'pay its way and play its part' in Europe in a programme that allowed for more jobs and economic recovery.